Freeway is formulated to help maintain healthy, efficient airways all year round. Hilton Herbs particularly recommends Freeway for horses that are stabled or have restricted turnout. Freeway is rated 4.5 out of 5 by 38. Rated 4 out of 5 by silver from very palatable I noticed that one of my minis had a little cough or congestion at times and worried that perhaps it could be a respiratory issues given their proximity to shavings dust especially at night when the bottoms dutch doors are closed to their stall. So decided to try this Freeway. I like Hilton Herbs and have used other products of theirs with good results. After several weeks of using the Freeway, I feel that my minis condition has improved and both minis love the flavor that the herbs add to their soaked cubes. I will continue to purchase and love the holistic supplement to any health concerns. Rated 5 out of 5 by Slinky from Works great for heaves/coughing The bucket of herbs works great. 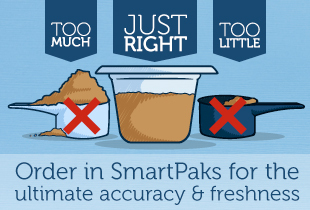 I do not recommend switching to the SmartPak version. The ground up powder does not work for us. If the non ground up version were available in SmartPak’s then we would try again. Rated 5 out of 5 by terry from Great product, but not in smart paks I switched from smart paks on someone's review. the fact that it is ground up seemed to change the product . My horse did much better on the full herb in the large bucket. My horse eats it up! Rated 5 out of 5 by Walking j from I'm impressed I have gone through a 2.2. Bucket full already and buying another. Iam still skeptical about the product working. My mare does seem to be breathing better in the mornings after a wet cold night. She is not snorting hardly at all. I think another bucket will tell the real story. Rated 5 out of 5 by funkylady from Freeway works works great, second batch I've purchased and Zoey and I both are happy with it. Rated 5 out of 5 by Paige from Did the trick! My horse developed a very labored breathing while in the saddle and on the ground. Had the vet check him and chalked it up to seasonal respiratory allergies that could progress to COPD if not taken care of. Vet suggested Freeway herbs. He has been on it for about 3 months now and his breathing is normal! If you buy the tub, it is all just grown herbs and smells like fresh hay. My gelding loves it. I switched to the paks so it is a little more refined in a dust/powder. Rated 5 out of 5 by LynS from Worked very fast! My mare started with a dry cough from all the dry weather this fall. Her lungs were clear and never ill, just an annoying cough when she was in the barn for a few hours and sometimes in the field. Would clear during riding. 1 week on Freeway and her cough was gone. Kept her on the full container and weaned her off gradually. The cough has not returned! She loved eating it too! Rated 5 out of 5 by Majorsbuddy from My horse loves it! After a wet spring and flooded stalls, my gelding developed a cough and bronchitis. Hoping to find him some comfort, I ordered Freeway. He snarfed it down, but I'm afraid that even with antibiotics and new footing in his stall, he developed pneumonia. At 27, he is still hanging on. 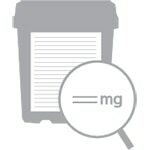 I do recommend the large tub and not the smartpaks, as the fine grind of the powder in the smart paks is easily inhaled, and that's not where you want the supplement. Rated 5 out of 5 by jdi62679 from Picky eater approved I have an extreamly picky eater and she ate Freeway! Respiratory allergies were really high this spring and early summer in MA, my vet suggested I give it a try. All my horses ate it! Rated 3 out of 5 by T doodle from Stop the snot I bought this to help reduce the white discharge coming from my mares nose from allergies this spring. It did reduce it back to thin and clear and it seemed to help her breath better when working. I liked the fact it was just ground herbs with no added fillers or flavors. My horse won't touch anything with artificial flavors or other added ingredients, so she has no problem eating it, but may be a problem with some horses. You do have to feed a large amount of this to get a therapeutic effect, so it only lasts about a month,but it does seem to be helping.